The RN171 is a small form factor, ultra-low power embedded TCP/IP module measuring only 27 x 18 x 3.1 mm. The RN171 joins the RN131 in Roving's line of full-featured 802.11 b/g surface mount modules. 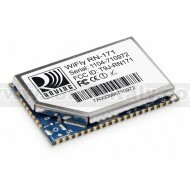 The RN171 is a standalone, complete TCP/IP wireless networking module. Due to its small form factor and extremely low power consumption, it is perfect for mobile wireless applications such as asset monitoring, sensors, and portable battery operated devices. The module is pre-loaded with firmware to simplify integration and minimize development time of your application. In the simplest configuration, the hardware only requires four connections (PWR, TX, RX and GND) to create a wireless data connection. 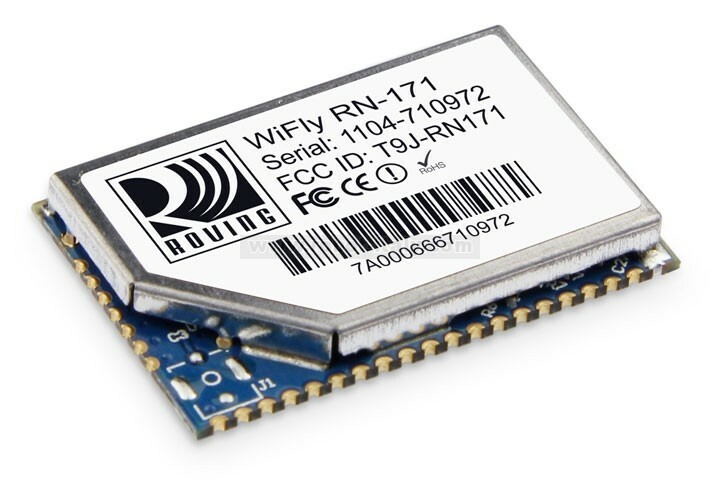 For the developer, Roving offers an evaluation board based on the RN171, the RN-171-EK. This easy-to-use kit quickly adds Wi-Fi connectivity to embedded applications, significantly reducing development time.